Don't have a car on campus? Don't want to walk a mile to services? No problem! Carpools are available to all meetings of the 26th Street Church of Christ at no cost. Simply contact Chris Roberts, our campus minister, to arrange a ride to any & all worship services, Devotionals or any other Herd4Christ function. 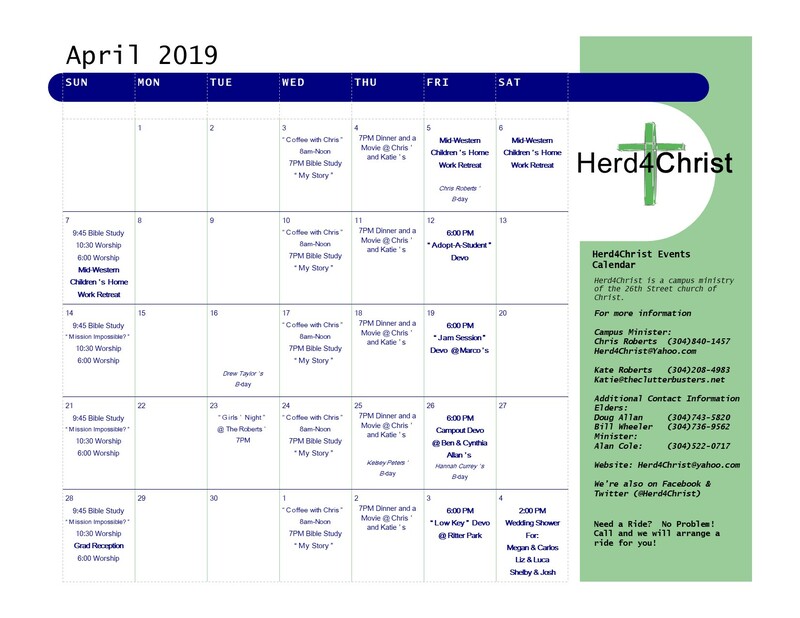 You can call or text Chris @ (304) 840-1457 or e-mail him @ Herd4Christ@Yahoo.com.